The North Carolina Arboretum is excited to announce its newest outdoor setting, Willow Pond. Created as a sediment collection basin during the Arboretum’s initial construction, the pond is now home to a great diversity of wildlife. Efforts are now underway to reinvent Willow Pond. This reimagined space, located near the Baker Exhibit Center, will protect the environment, delight members and visitors, and educate students of all ages for many years to come. Amphibian and reptile species found in or near the pond include the rare mole salamander, Eastern newt, American bullfrog, Cope’s gray tree frog, wood frog, spring peeper, green frog, American toad, northern cricket frog and common snapping turtle. Help us transform Willow Pond into a creative outdoor learning environment. Gifts of all sizes are welcome, including gifts of money, in-kind goods or services, and time. Click on the button below to donate or contact Lisa Baker, donor relations manager, at lbaker@ncarboretum.org or 828-665-2492 x.221. Reduce stream channel erosion above and below Willow Pond. Improve Willow Pond’s ability to store and manage stormwater. Introduce innovative stormwater management measures, including a floating wetland in the main pond and permeable pavers in the parking lot. Improve safety and longevity of the dam. Increase habitat for mole salamanders and other wildlife. Install more than 4,000 native plants, from grass plugs and perennials to shrubs and trees. Provide educational signage about salamanders, stormwater, wetland plants and more. Build a new boardwalk across Willow Pond and new trails that contact to Willow Pond. Build a covered pavilion to host youth and adult education classes and activities. 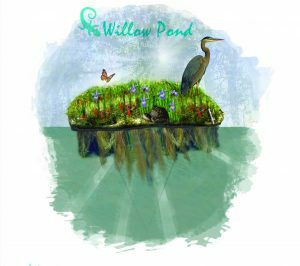 The North Carolina Arboretum and The North Carolina Arboretum Society have established several recognition opportunities for donors making leadership gifts ($15,000-$75,000) to advance the Willow Pond project from concept to reality. These features, such as the boardwalk, boulder steps, artwork, floating wetland and educational exhibits, provide wonderful ways to display your commitment to the educational, recreational, and conservation purposes of Willow Pond and to honor or remember family, friends or other significant people from your life. In addition to these specific name recognition opportunities, The North Carolina Arboretum Society will list all donors of $5,000 or more, cash or in-kind, on a panel that will be displayed in the education pavilion. Please contact Lisa Baker, donor relations manager, at lbaker@ncarboretum.org or 828-665-2492 x. 221 for more information about naming opportunities and ways to donate. Interested in donating your time to Willow Pond? There are a variety of upcoming volunteer opportunities needed, including plant installation and trail work. For more information, please contact Cat Dillard, volunteer coordinator, at cdillard@ncarboretum.org or 828-665-2492 x. 333.